Outdoor portable speakers are great to pack along for your next backpacking, camping, hunting, fishing, or hiking trip. Even if you just want to sit in your backyard and listen to your playlists, having a great, high quality, and portable speaker will let you listen to the music on your phone, tablet, computer, or MP3 player anywhere you want. Even though all of the best outdoor speakers in this buyer’s guide are small and compact, their sound quality can pack quite a punch, making it seem like your music is coming from an expensive speaker system. The ten portable, best outdoor speakers on this list are the absolute best available today. No matter where you take them or what harsh environments they have to resist, all the speakers on this list are durable, compact, and have great sound quality. If you are looking for a fantastic outdoor speaker, before rushing out and purchasing the first one you find, reading the buyer’s guide and reviews below will make sure you pick the absolute best outdoor speaker for your needs. Technology changes all the time. Every year, electronics seemingly get smaller while adding more features and the best outdoor speakers are no different. To help separate great speakers from poor ones, the following six areas and features are all important to review before deciding on the right portable speaker for your needs. Any portable speaker needs to come with Bluetooth wireless connectivity. When out camping or just listening to music in your kitchen, you do not want to deal with the hassle of cords. 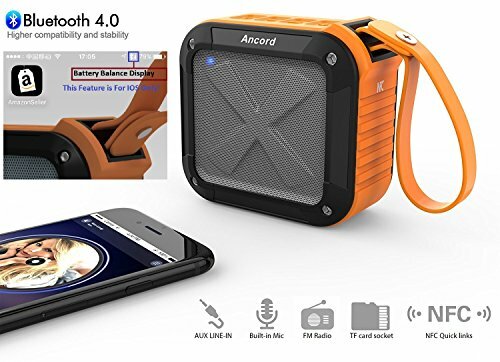 Bluetooth speakers allows you to move your phone or speaker around with ease while staying connected and that alone makes it essential. For the best outdoor speakers to be portable, they should not need a wall socket to turn on. While most portable speakers come with rechargeable batteries, a small number of less expensive speakers use AA or AAA batteries. Rechargeable batteries likely last longer than disposable batteries, making sure your music will not cut out after an hour of use. Having your speakers be waterproof is not a necessity, but depending on where you are going to want to use it, you might need it to be. If you plan to take it to the pool, beach, or anywhere near water, having it be waterproof or water resistant can save you the time and money of needing to buy a new one. Any gear or equipment that you take outdoors, especially if you are taking it on a hike or camping trip, can be beaten up pretty badly. Accidents happen, especially outdoors. Good portable speakers should be able to resist anything you or the environment throw at it. In this respect, the best outdoor speakers should certainly be durable. If you are going outdoors or on a trip for an extended period of time, odds are you have a lot to pack anyways. You definitely do not want a speaker taking up too much room in your purse, bag, backpack, or suitcase so the best portable outdoor speaker should be about as small as, if not smaller, than a water bottle. Often people think that the bigger the speaker, the better the sound quality. While that was probably true years ago, today that is definitely not the case. Just because a speaker is tiny and compact does not mean that sound quality needs to suffer in favor of other features. Great speakers should sound great no matter what the size. 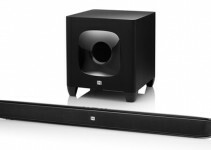 The Oontz Angle 3 speaker is probably the best overall speaker on this list. The number of positives this model has is endless. With a 12-hour battery life, you can listen to music from sunrise to sunset without needing a recharge. It weighs in at an astounding 10 ounces, making it small enough to fit in any bag. These features alone would make it good enough to make this list, but when you add in that it is waterproof, durable, and has amazing sound quality makes this speaker hands down one of the best options for anybody. The DOSS Touch Wireless Speaker is one of the bestselling portable speakers on the market today and once you hear it in action you will know why. With superior sound quality, on board SD card slot, 12-hour battery, and the ability to make and receive calls, this speaker is great for those who just want a nice, quality speaker to use in the back yard or around the house. For those going on hikes or going out camping, there are better, more durable options. The weather resistant features of the FUGOO Sport XL Outdoor speaker really set it apart from other portable speakers. With a waterproof, snow-proof, mud-proof, dust-proof, and shock proof exterior you can take this speaker anywhere without worry. Even more impressive is that it features over 35 hours of battery life meaning you can have this running non-stop almost all weekend. 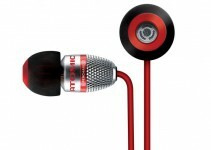 Equipped with a mounting socket and strap, you can use the speaker anywhere you go without worry. A speaker with this many weatherproof features must mean the sound quality is poor, right? Wrong. 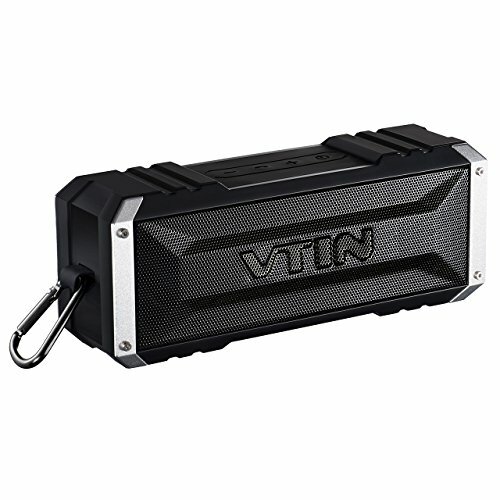 This rugged little speaker packs quite a punch in the audio department making is a great choice for any outdoor enthusiast. 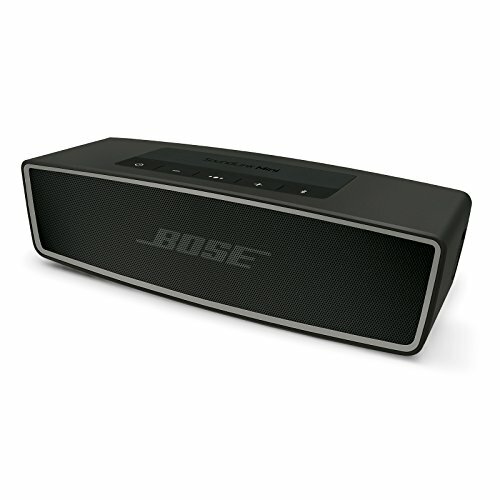 Bose speakers are renowned for being the best quality speakers you can buy and the SoundLink II speaker is no different. This portable speaker offers the highest quality sound among any other options on this list, providing sound quality similar to larger stereos. Those wanting impeccable sound quality will struggle to find a better option. There are some downsides, however. Made completely of plastic, it is not as durable as other outdoor speakers built for more rugged outdoor activities, and it is not water resistant. 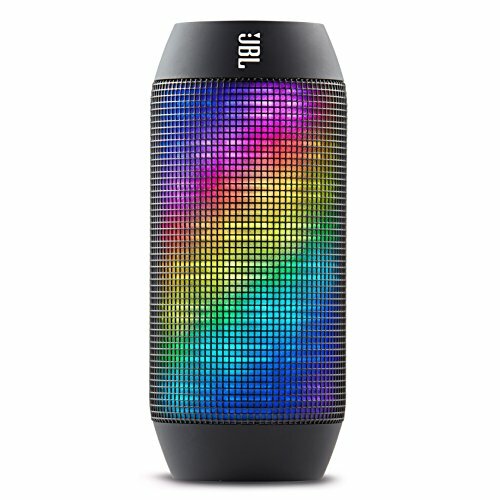 Another option for those throwing backyard barbeque parties or looking for a great sounding speaker to bring to the park, the JBL Pulse speaker with LED lights not only sounds as good (if not better) than expensive Bose speakers. What allows this speaker stand out are the LED lights that can be programmed to pulse and move with the rhythm of the music. It is not the lights that make this speaker great; a solid battery, high range of sound, and good base make this a fantastic option for those who want a simple, yet stylish outdoor speaker. 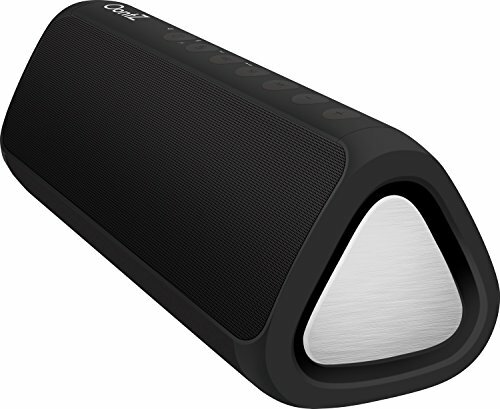 If you need a speaker that will last all day and take whatever beating you can give it, this one might be best for you. Built like a tank, this speaker is perfect for the adventurous type. 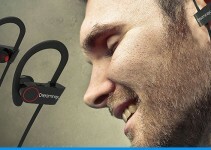 You will not need to be afraid taking this speaker on a rock climbing trip or hike in the woods. The only downside is that while it is water resistant, it is not waterproof making it still great to use at the pool or beach. Just do not completely submerge it in water. In addition to good sound quality and crazy good durability, the 25-hour battery life means you can literally use this all day without worrying about recharging. 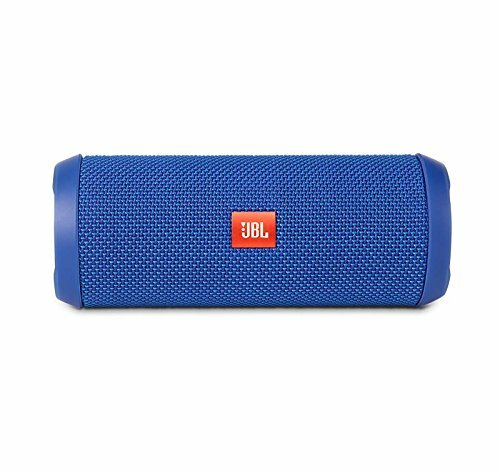 With a battery that lasts approximately ten hours, the JBL Flip 3 speaker will ensure that no matter where you want to listen to your favorite playlists, you can do so uninterrupted for a long time. Another cool feature of this model speaker is that it allows you to connect three devices to it at once, letting you or your friends and family listen to great sounding music without constantly having to connect and disconnect devices. With its superb sound quality, waterproof exterior, long lasting battery, and compact size, this is one of the best outdoor speakers available today. The Ancord Portable Speaker is the perfect small, portable speaker for those on a budget. Equipped with Bluetooth, a battery that can last up to 12 hours, and a case that is water resistant, this solid little speaker should do everything you need it to do. It also has two additional features missing from many speakers on this list. It has a strap that you can wear around your wrist or attach to a backpack. This makes it great for those on the move outdoors. It also features a built in FM radio in case you want to listen to favorite station or to listen to live sports. If you want a portable speaker that is light on features but has tremendous sound quality, then this model should be on your list of speakers to consider. While not as tough and rugged as other portable speakers on this list, it does not mean you should not use it outdoors. The unit is covered with rubber and metal grates cover the actual speaker so it can still take a bit of wear and tear. The only down side is that it is not completely waterproof. It can survive some splashes of water, but cannot survive complete submersion in water. Simple to set up and use, the HYDRA’s 8 hours of battery life means you can start listening to music quickly and keep it going for hours. If you do not want to use Bluetooth to conserve even more battery life, it also comes with an AUX cable jack. For hikers, there are few better speaks to bring on your trip. 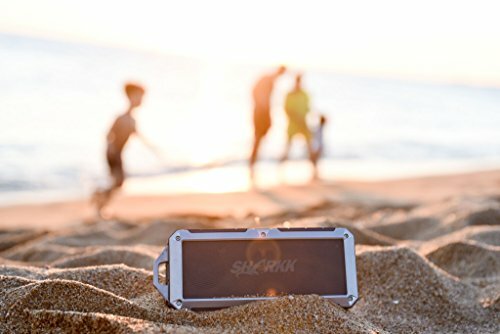 The SHARKK 20 really stands out among the other speakers on this list with two features, waterproofing, and an SD card slot. This model speaker can be completely submerged in water around three feet deep multiple times without malfunctioning, making this speaker perfect for the beach, the poll, or even just the bathroom. Another great feature is the addition of an SD card slot so you do not have to worry about connecting your phone to the speaker’s Bluetooth. Just load up an SD card with all your music files and never worry about being straying too far away from the speaker with your phone. No matter what you do or where you go outdoors, you do not have to resort to using your phone’s tiny speakers and easily drained battery to listen to your music library. From just relaxing on your patio to mountain climbing, no matter what outdoor adventures you have an outdoor portable speaker is perfect for you and the above buyer’s guide can help you find it.